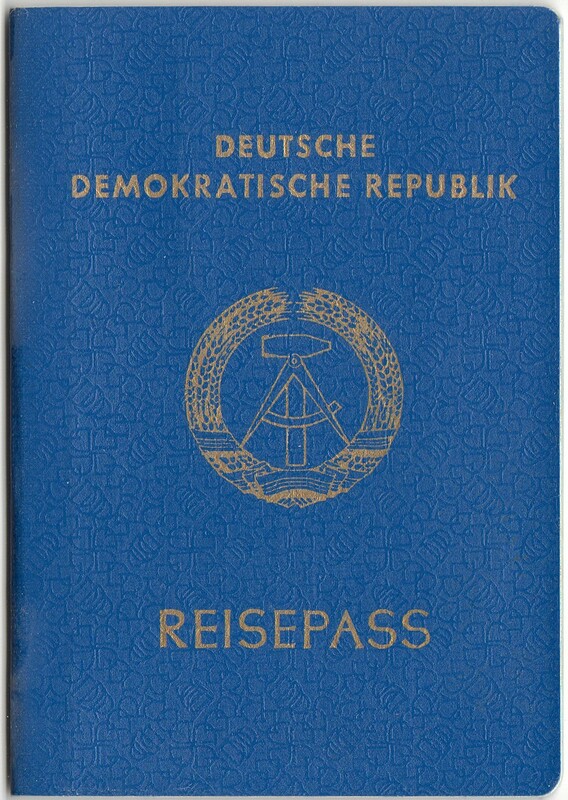 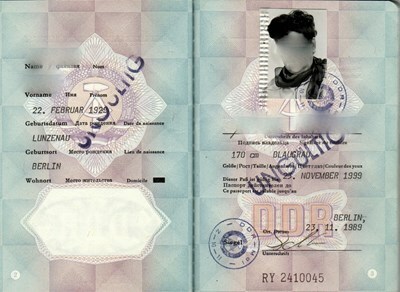 Passport issued on 23 November 1989 in Berlin to a 60 year old. 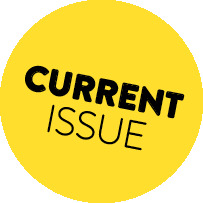 Personal details of the book's holder has been blocked out for privacy reasons. 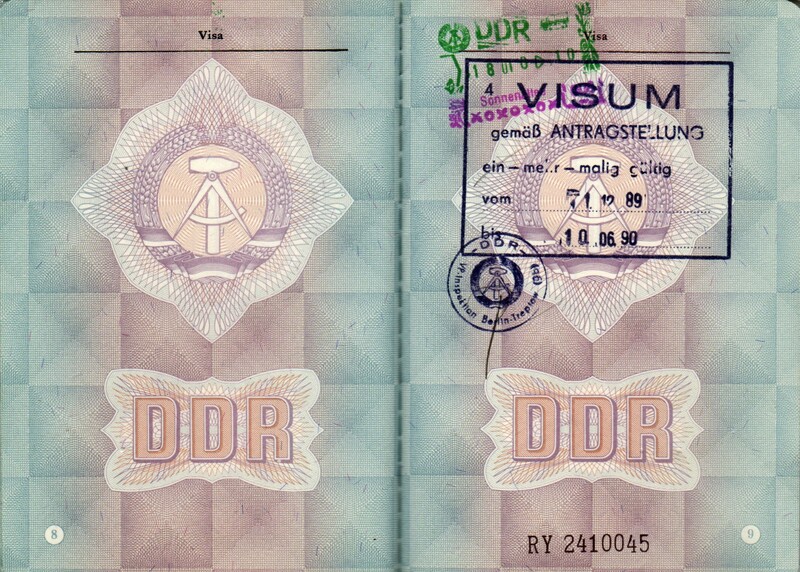 Of the book's 48 pages, there are stamps/entries on 3 of them.